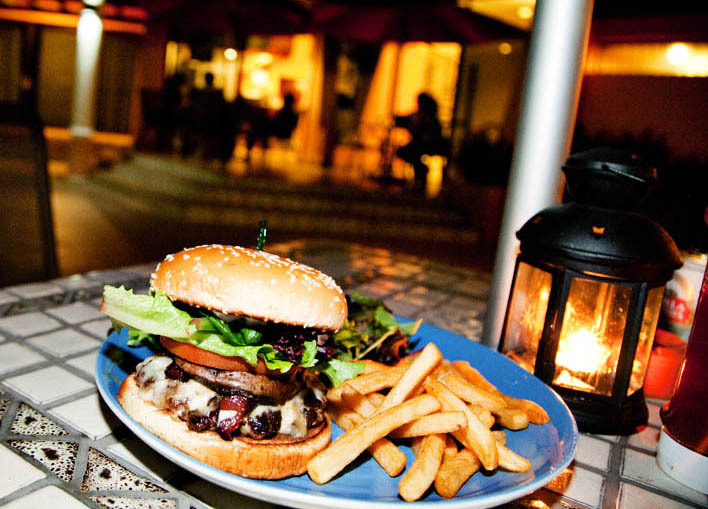 I was researching best burgers in Singapore online one Friday. 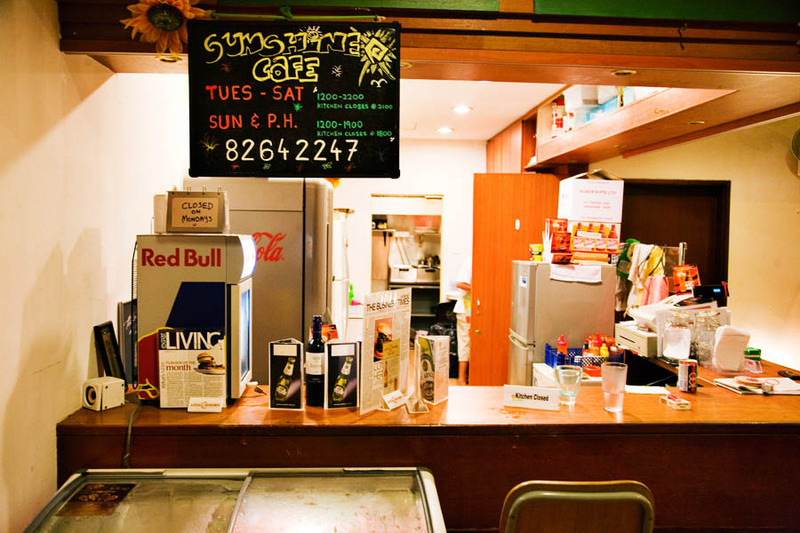 I started seeing a lot of articles about a place called Sunshine Cafe. I found the phone number and called for a reservation… for some reason I was thinking it was some new Dempsey Hill hipster place. It’s not. Finding the restaurant was a bit of an odyssey. Our “comfort cab” driver explored various parts of Singapore on our dime while trying to locate the restaurant. Eventually we were able to figure out that it wasn’t a separate restaurant near the apartment complex, it was actually a part of the complex. We hopped out of the cab and followed the sounds of kids splashing about to locate the pool. Sunshine Cafe is… well let’s just say people don’t drive here for the ambiance. It’s tucked back in the apartment compound right next to the pool. They’ve more or less re-purposed what might have at some time been a snack stand or small convenience store. It looks like a canteen at summer camp. Yup, this is Sunshine Cafe! And here’s the outdoor seating. Thankfully the food is anything but canteen quality. They don’t offer a lot, but what they do offer is executed well. The signature Sunshine Burger is a massive 200 gram hunk of proper burger meat. 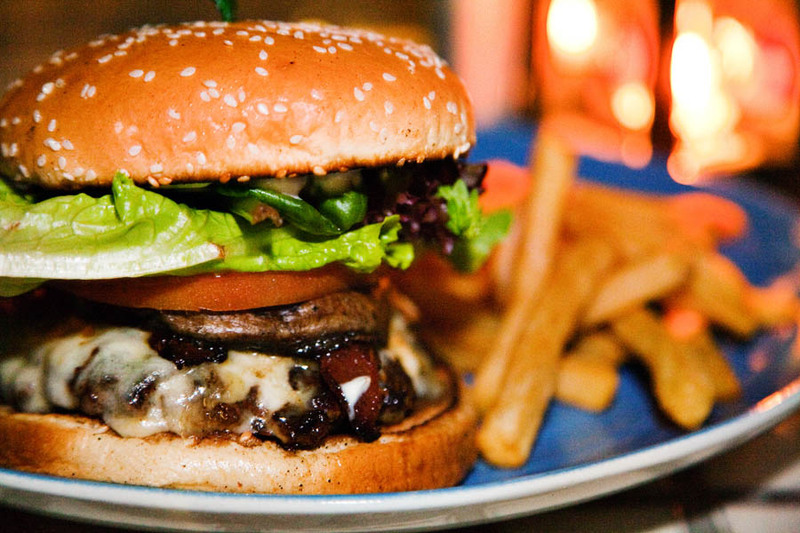 If all that meat isn’t enough it’s also topped with bacon and a massive portobello mushroom.It’s a good burger. Better than most in town. I won’t crown it best in Singapore, but I think it’s up there among the top. I’d say everyone should visit at least once. Go in a group and enjoy the 7 dollar beers and the massive burgers. Call ahead as space is limited and burger cook times can get a bit long (worth the wait). 83 Farrer Drive, Sommerville Park, Clubhouse. (65) 8264 2247 – To ensure that your reservation is met, kindly call, rather than SMSing.